Updated terms and conditions and general bug fixes. 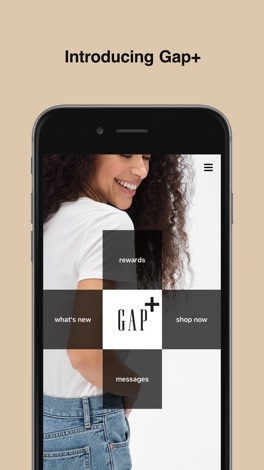 Gap+ loyalty app gives you an exclusive every day extra 5% off* (including most promotions), 50% off on the week of your birthday*, as well as exclusive offers tailored to your likes and delivered to your phone. 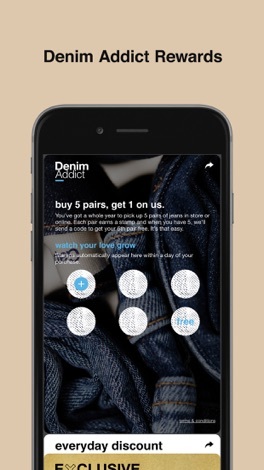 The rewards section of the app now features Denim Addict and Gap+ Exclusive. Denim Addict gives you a stamp in your Gap+ rewards section for every pair of full price Women’s or Men’s jeans you purchase in store or online. Collect 5 stamps in a year to get a free pair of Women’s or Men’s jeans worth up to £50/€65*. Gap+ EXCLUSIVE Members will have access to a section in the Gap+ App which will be limited to Gap+ EXCLUSIVE Members only and contain exclusive content. Additionally, you’ll get all the latest Gap news, tailored to your interests, in one place. And the latest fashion inspiration from bloggers, designers, artists, musicians and style icons. You’ll have the entire Gap range in a few taps of the finger – including the latest new arrivals, free delivery on orders over £50 and free returns. 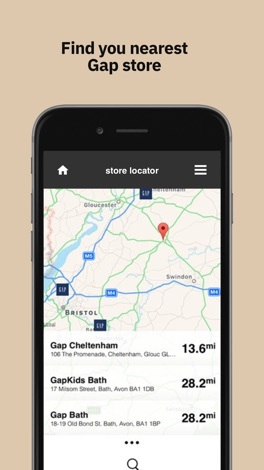 Plus, find your nearest Gap store, wherever you are, with the handy store locator. *Terms and conditions apply: see gap.co.uk/gapplus for more information. A daily SDR converter. The SDR value is updated several times a day from the database of the IMF. Supported currencies: AUD, BRL, CAD, CHF, CNY, DKK, EUR, GBP, INR, JPY, KRW, MXN, NOK, NZD, PLN, RUB, SGD, USD, ZAR. Synchronous generator size estimation based on the load. Admit up to 10 loads among Induction motors, Resistive and inductive loads. The generator KVA rating is 10% over estimated as a buffer for additional loads. Twenty is an app that can be used to keep track of stats when playing Twenty Seconds, a 1 on 1 pick up basketball game with 20 seconds on the clock. The OFFICIAL clothing company of Count's Kustoms in Las Vegas. Buy the same gear that you see Danny "Count" Koker, Kevin Mack, Horny Mike, Ryan Evans, and Shannon Aikau wear on the hit tv show Counting Cars on the History Channel.